Kentucky offers a wealth of options when it comes to drug and alcohol treatment centers, but finding the right fit for you or for a loved one can feel daunting. Ensuring you are at a facility that has high success rates and effective treatment therapies is a vital step toward your recovery. While Kentucky is famous for its Derby and fried chicken, the Bluegrass State is also home to thousands of people suffering from addiction. Fortunately, Kentucky has rehab options available for those ready to seek professional help. Research shows that those seeking long-term treatment have a much higher chance of building a solid recovery program. Kentucky drug and alcohol rehabs have many types of programs and areas of specializations. The treatment facility options outlined here are considered top rated, due to their positive results and diverse treatment approaches. 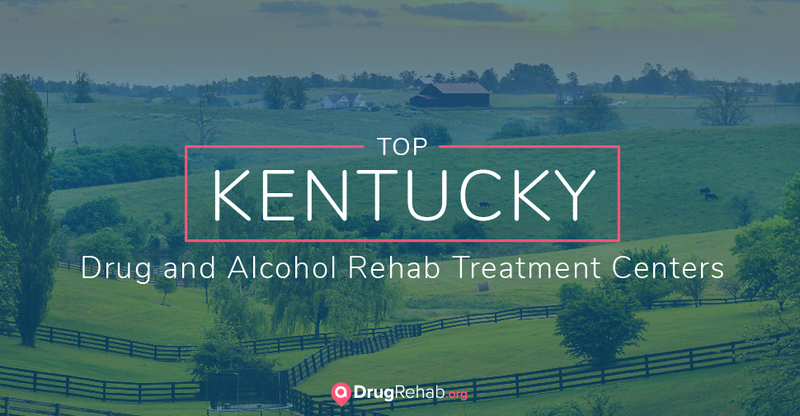 If you are looking for drug or alcohol rehab in Kentucky, read on to see some of the highest-rated options. With four locations, SelfRefind uses evidence-based care and trauma-informed treatment to transform the pain of addiction into a healthy existence. SelfRefind focuses on serving those who are addicted to opioids. This treatment center offers an intensive outpatient treatment program that includes a consultation phase (including prescribing any medications needed), an observation phase, and then outpatient treatment to address the root cause of the addiction and learn ways to manage life. This organization provides care to those suffering from substance abuse, mental health, and developmental disabilities. Bluegrass’ philosophy of care is “person-centered,” meaning each client will receive personalized services and treatments. Bluegrass serves 25,000 clients each year in counties throughout the state. This unique organization has an intense focus on healing past trauma and unresolved pain. Since The Bridge is not a medical-model treatment facility, it is not for those who are in active addiction, but is often used as a second stop after an inpatient stay at a drug rehab center. The Bridge uses multiple modalities of experiential therapy, including equine assisted psychotherapy, meditation, and body movement therapy. Its holistic approach can be an excellent choice for someone who is looking for a deeper level of healing to maintain their sobriety. Landmark Recovery offers 30-45-day substance abuse rehab services, including detox, residential and inpatient, partial hospitalization, intensive outpatient, and aftercare services. Landmark’s treatment style includes therapy by licensed master-level counselors and psychologists, social activities, a wellness component, and a spiritual/12-Step approach. This comprehensive outpatient center provides individual and group therapy to adults, as well as adolescents, that may be dealing with addiction. The Morton Center also focuses on helping healthcare professionals who may be struggling with substance abuse, including nurses, physicians, and pharmacists. This treatment facility specializes in combining research-based treatment modalities with a compassionate approach. Stepworks offers a 30-day residential treatment program that is both healing and empowering, and includes a detox component. Certified therapists lead the group therapies that largely comprise the program at Stepworks. Their mission is to create a treatment environment that the staff would feel confident in sending their own families. One of the first steps an individual will need to take in the treatment process is a detoxification program. Detox is the process of allowing the body to rid itself of the toxins from drugs and alcohol, and this process can be extremely uncomfortable. Not all drugs require a medically-supervised detox, but it can be particularly important for someone who is dependent on alcohol, benzodiazepines, or opioids. Remember that detoxing should be seen as just the first, and often most physically taxing, part of recovery. The physical discomfort is only temporary, and once detoxed, individuals can begin the treatment steps that will get them on the path to building a solid recovery. While every person’s addiction and personal situation is different, data shows that prolonged treatment (at least 3 months) yields a much higher chance of long-term recovery. Inpatient or residential treatment is the most successful option for achieving long-term success, in terms of completion rates. During inpatient treatment, the individual suffering from substance abuse can be in a protected environment, away from potential triggers that could be hazardous to their recovery. When someone has a co-occurring disorder, also known as a dual diagnosis, it means that a medical professional has deemed their substance use to be coinciding with a mental health disorder. Co-occurring disorders can be complicated by the fact that one disorder typically feeds the other. Those that may have co-occurring issues – such as substance abuse and PTSD – could benefit from dual diagnosis programs that cater specifically to this demographic. Treatment facilities that specialize in treating dual diagnoses, such as JourneyPure in Elizabethtown, tailor their programs to meet the client’s individual needs. JourneyPure offers an extensive array of therapies, including mood disorders and trauma recovery. One of the most important factors in a treatment facility is that the individual feels safe and respected. For this reason, some may prefer a gender-specific treatment program or an LGBTQ-friendly facility. By reducing any negative feelings about the environment, clients are given the chance to recover in a safe and supportive environment. Kentucky Counseling Center in Lexington offers a warm, non-judgmental environment in which to recover, and has a laid-back approach to therapy for kids, adolescents, and adults served. Luxury rehab facilities offer many of the same treatment modalities as other centers, but provide additional amenities such as fine dining, fitness instruction, and private rooms. This type of treatment facility often has much higher out-of-pocket costs. Liberty Ranch is located in the heart of Kings Mountain, and offers a supportive environment for building recovery. The recovery center offers beautiful accommodations and 70 acres of lush grounds, for recovery-oriented recreation. When someone is detoxing from certain drugs, medication-assisted treatment (MAT) can be a helpful approach to ensure the safety and well-being of the person taking their first steps toward recovery. Opioid withdrawal, though not deadly, can be painful and very uncomfortable. Some facilities use Suboxone and Methadone in medication-assisted treatment. Suboxone and other buprenorphine-based medications have much less potential for abuse, while Methadone is more widely abused. The overall purpose of a medically-assisted detox is to minimize and alleviate withdrawal symptoms, through the use of certain medications. This step is especially crucial for alcohol and benzodiazepine withdrawal, as this can lead to death without proper attention. Oftentimes, those who are suffering from addiction make choices that land them in legal trouble. To serve these individuals, Kentucky has several options that fulfill a requirement for court-ordered rehab treatment. Addiction Treatment Centers, located in the heart of Kentucky’s largest city, offers multiple programs for court-ordered rehabs, including intensive outpatient and interventions. Addiction Treatment Centers is based on 12-step facilitation, cognitive behavioral therapy, and motivational interviewing. Inpatient programs have different lengths of stay and can be categorized as either short-term or long-term. These differences in length can be based on the individual’s addiction type, relapse history, and any co-occurring mental health issues. The National Institute on Drug Abuse (NIDA) recommends at least 90 days of treatment for best outcomes. Intensive outpatient (IOP) programs are helpful for those who have a low chance of relapse and are not on any medication-assisted programs. Unfortunately, these programs have higher instances of drop-out rates, compared to inpatient programs. According to the United Nations Office on Drugs and Crime, 54% of IOP patients completed treatment, compared to 89% of those in inpatient facilities. Further, if someone is in an acute withdrawal or has additional health issues, they would not meet the criteria for outpatient. Outpatient can be a great choice as a step-down treatment after an inpatient stay. Some facilities also accept public insurance, such as Medicaid. If you or your loved one are worried about the cost of drug treatment, please note that most people are at least partially covered under government-funded insurance. Treatment facilities may also offer sliding scale fees, scholarships, or long-term payment plans to help reduce financial strain. Of these numbers, only 8.2% of people suffering from alcohol addiction and 18.1% of those struggling with drugs seek treatment per year. The effects of addiction can be far-reaching and difficult, but with treatment available, it can be a crucial choice to make for those suffering from substance abuse.